Sometimes the simplest things in life provide the greatest joy… like a big satisfying bowl of pesto pasta. Tonight we have added crunchy toasted almonds and creamy fetta, because we can’t help but take things up a notch! Bring a large saucepan of salted water to the boil. 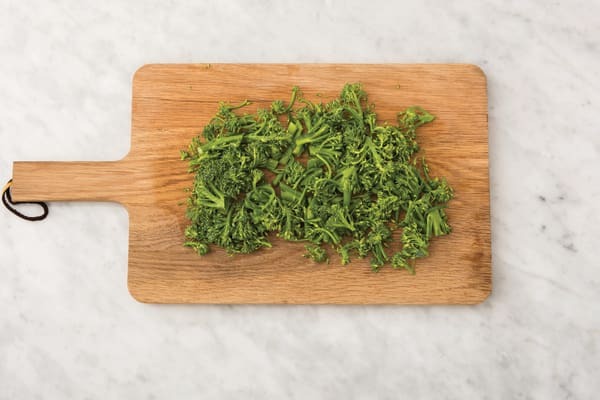 Roughly chop the broccolini into 2 cm pieces. Finely slice the red onion. Finely grate the garlic. Slice the lemon into wedges and juice to get 1 tbs for 2 people / 2 tbs for 4 people. 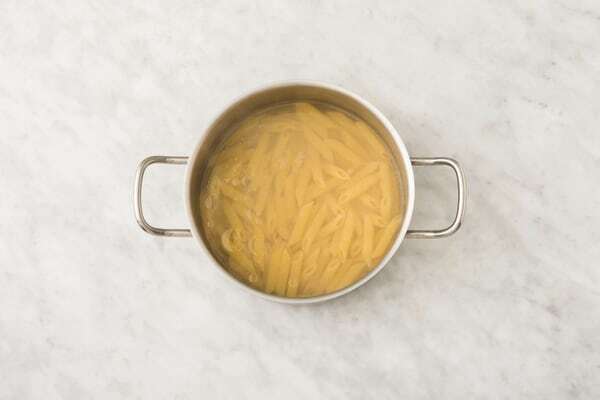 Add the penne to the saucepan of boiling water and cook for 10 minutes, or until ‘al dente’. In the last 2 minutes of cook time add the broccolini and cook until tender. Drain and set aside in the colander. 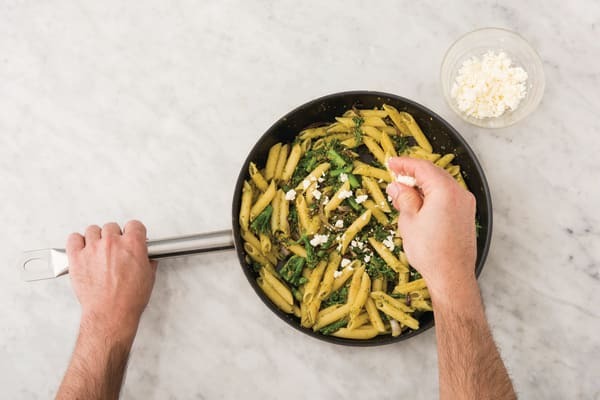 While the pasta is cooking, place a large frying pan over a medium-high heat. Add the slivered almonds and toast, stirring, for 3-4 minutes, until golden. Remove from the pan and set aside. 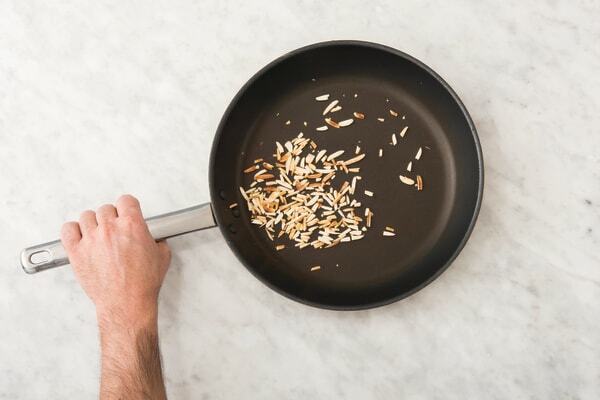 Return the pan to a medium-high heat with a drizzle of olive oil. Add the onion and garlic and cook for 5 minutes, stirring regularly, or until the onion is softened. 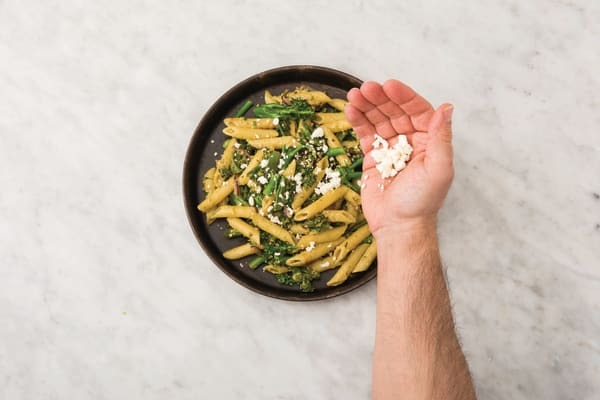 Add the cooked broccolini and penne, traditional pesto, lemon juice, salt (use suggested amount) and a good pinch of pepper. Crumble in 1/2 the fetta and toss the pasta together until well coated. In a medium bowl, combine the balsamic vinegar, honey and olive oil (1 tbs for 2 people / 2 tbs for 4 people). 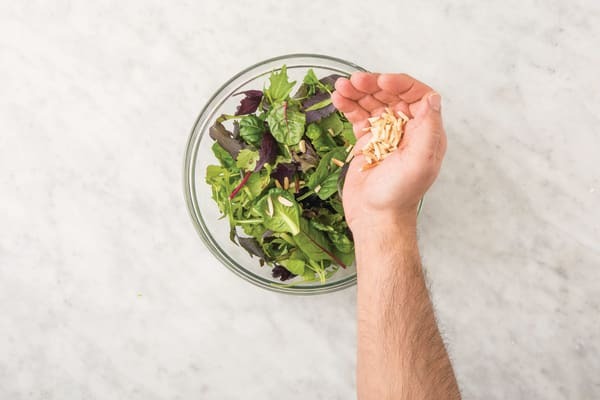 Add the mixed salad leaves and slivered almonds to the bowl and toss to coat in the dressing. Tip: Toss the salad just before serving to prevent soggy leaves. 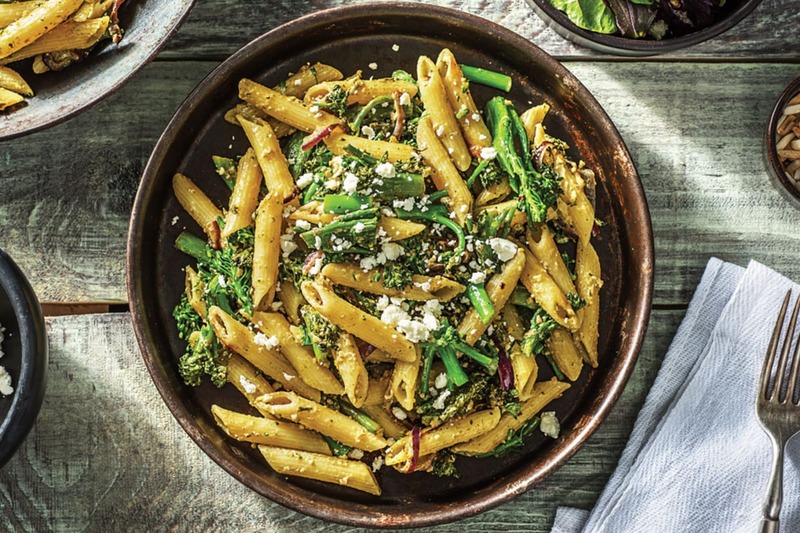 Divide the lemon basil pesto penne with broccolini and fetta between bowls. Crumble over the remaining fetta and serve the salad on the side.